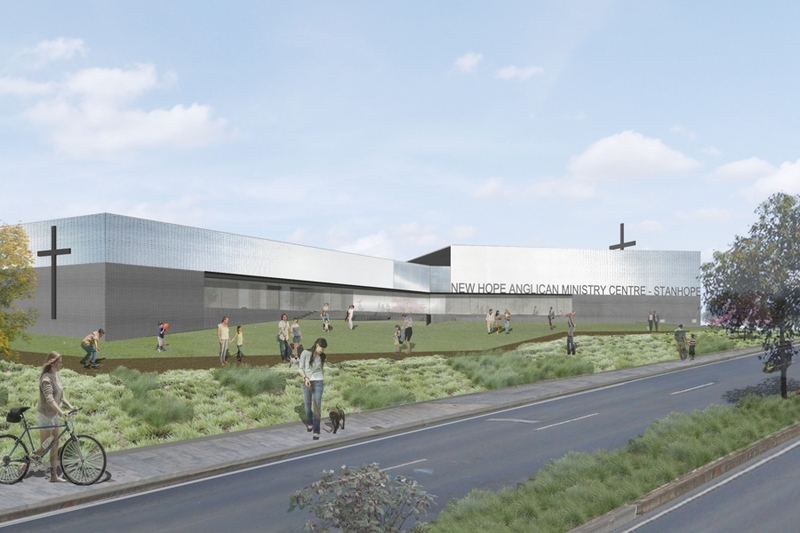 The design of New Hope Anglican Ministry Centre is a response to both the tradition of buildings of worship and an awareness of contemporary religious practices which emphasise the collective and community. Located in a new subdivision, the building stands apart from the sea of individual resdential dwellings within which it is located and from where it draws its constituents. 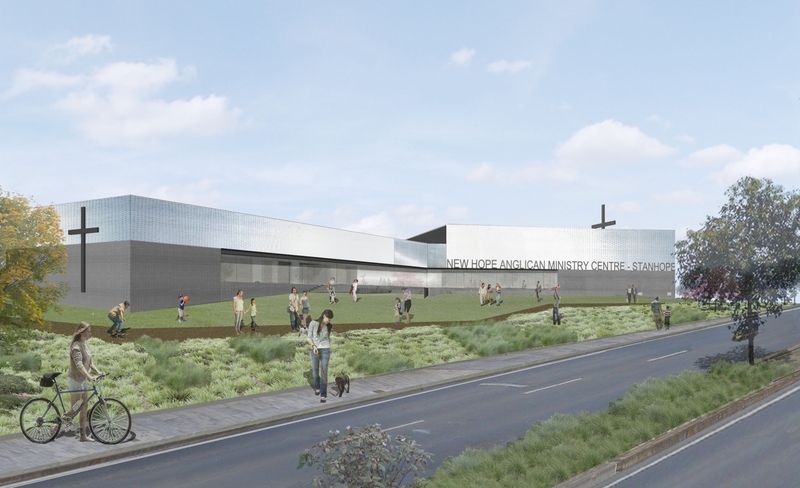 Located on a small rise, the church literally comes "out of the earth" to form a podium and community space which organises the site. 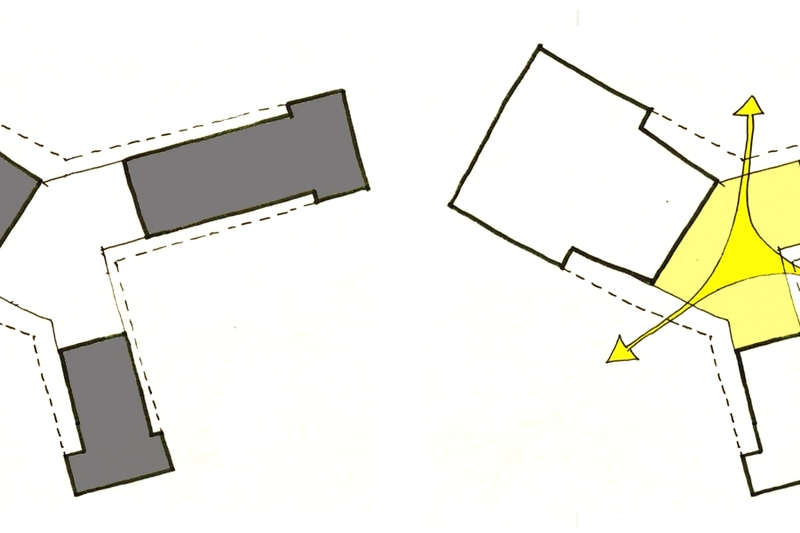 The result is a series of spaces of different scales and with different orientations to cater for the a broad cross section of users. 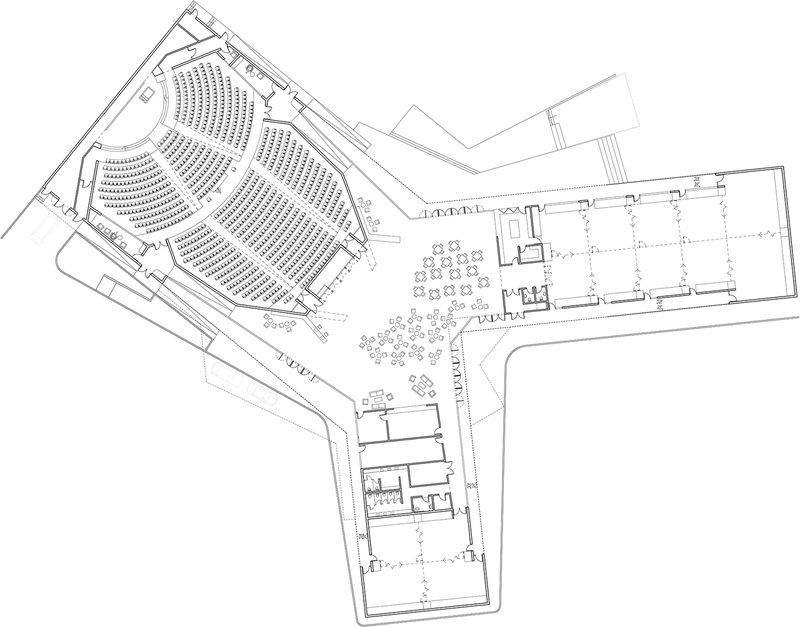 In addressing the needs of the congregation and site, the podium organises the auditorium, children’s ministries and ancillary functions - each of which is given a separate wing. 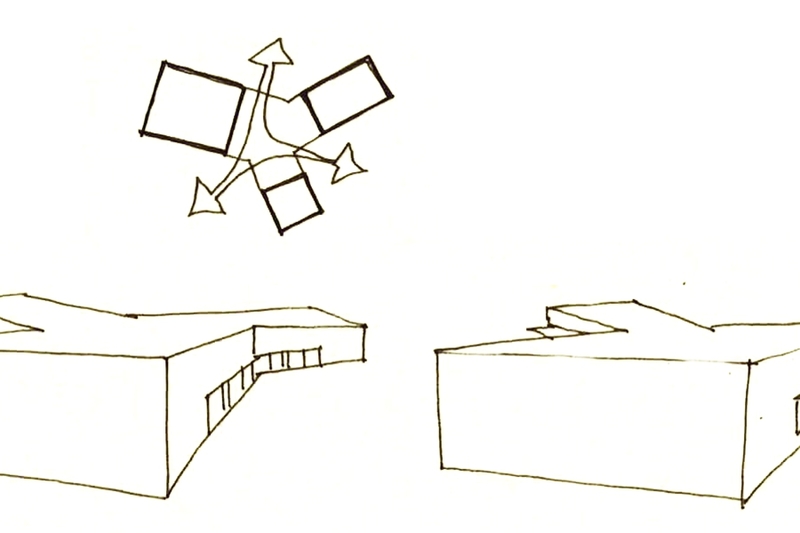 These three key programmatic elements then arrange the site into a formal landscape to the main street; informal spaces such as children’s play and fellowship space, and car park to the rear. 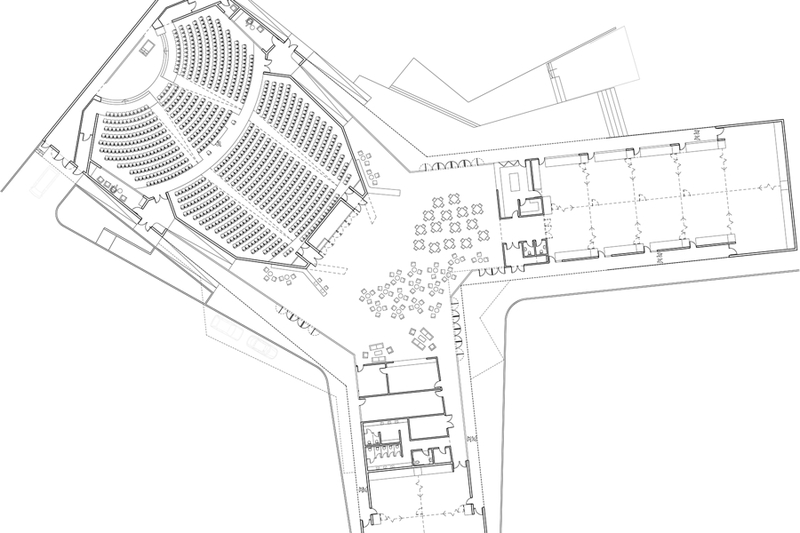 At the centre of this system of program and landscape is the Fellowship Space which is a large and light filled public room. 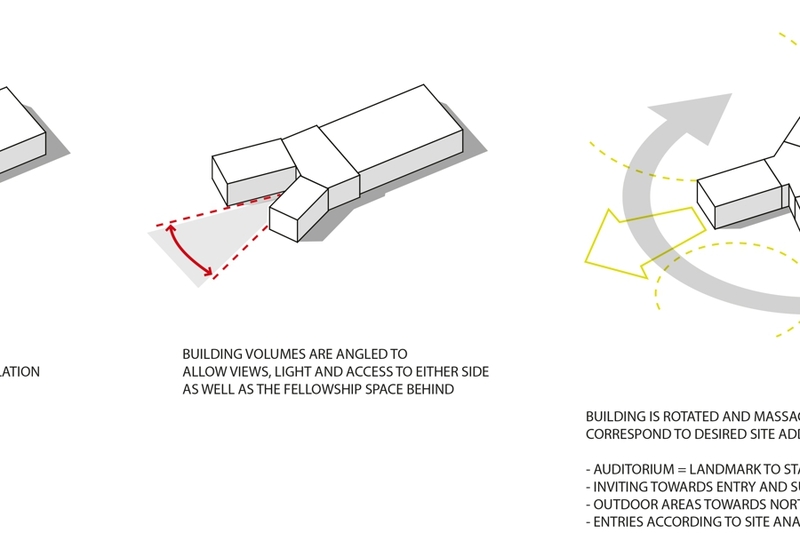 This room is programmable in a range of ways and so addresses many of the communal functions of the building. This podium element is constructed from brick - the material of the clay substrate below - a link to the previous use of the site for brickworks and contextually aligned with the predominant material of the surrounding houses. This clay brick base supports a light canopy consisting of white glazed bricks and translucent polycarbonate sheeting to form a the threshold from the earth to the sky - a transcendent gesture which complements the activities and arrangement of the community and their place.